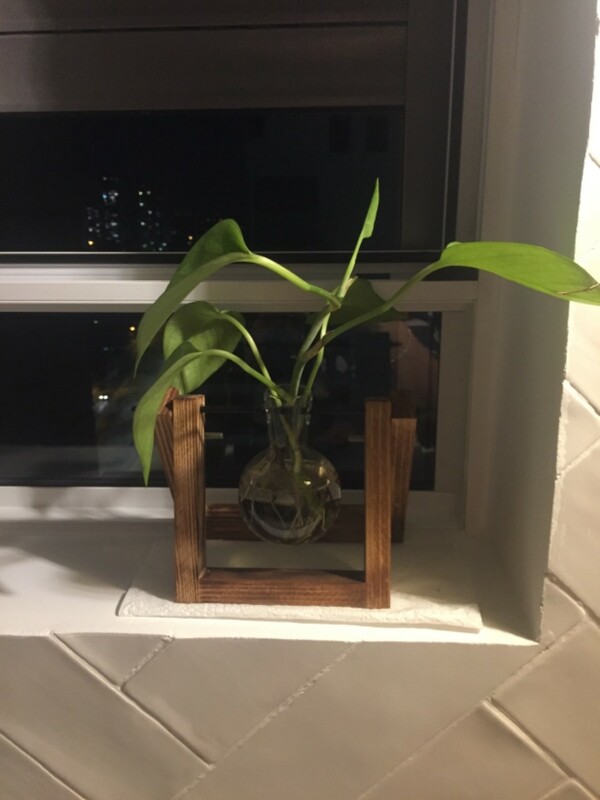 Vintage planter with bulb shape vase and wooden stand. Three different sizes available with 1, 2 or 3 glass vases. Perfect for modern, minimalist, zen, retro, industrial themed home or office! Plants in product images: devil's Ivy, rosemary, and tarragon. Made of solid wood and hand blown glass. 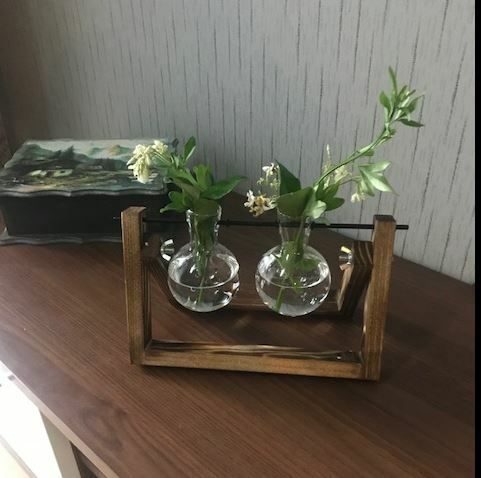 Each order includes standing rack, glass vase and parts. Plant is not included. These hydroponic vases get a green thumbs up! Bulb glass pots display your plants elegantly while the darkened wood stand and an iron rod give these terrariums a factory-chic vibe to complement any space! Great product. Looks cool in my apartment. I wasn't sure what to expect having never ordered from this company before. The communication was great throughout the process. Shipping takes a while, so keep that in mind for gift giving. The product is also of great quality - I kept one for myself and gave the others as gifts. I would highly recommend this particular product (rustic terrarium) and the company! 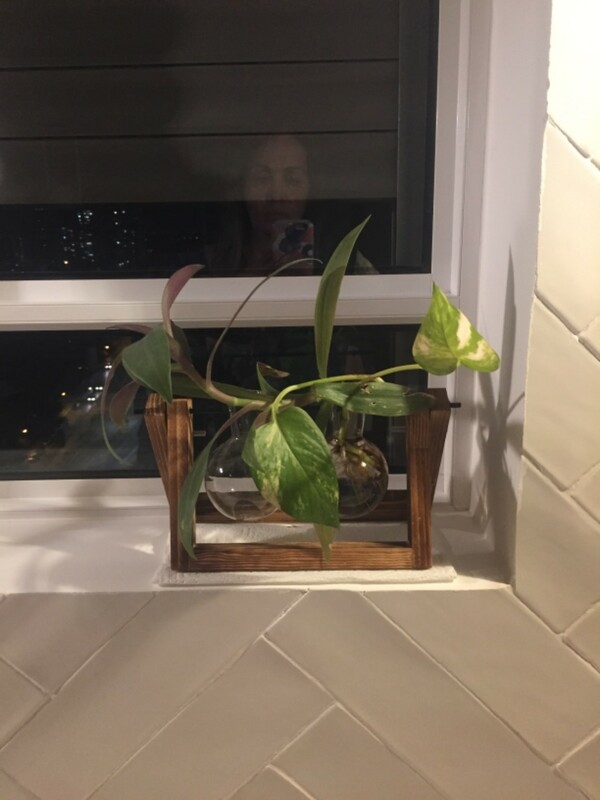 Great little planter and such a nice addition to any room!